I showed you the finished master bathroom last week, so let's take a quick look at what it cost. As you probably remember, this space was originally a dining nook, so we had to buy everything that went into building a bathroom: plumbing, venting, tub, sink, toilet, etc. Can you believe this bathroom cost under $3000? 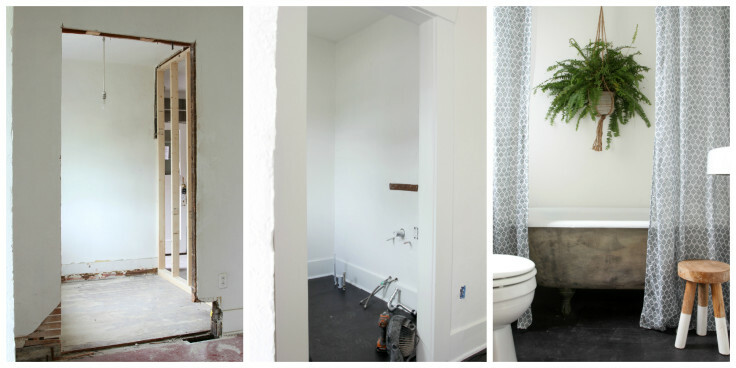 And considering the massive transformation, I was surprised just how little it cost us to build this bathroom! We kept the budget down a few ways. First of all, we know an electrician (thanks Papa!) and my husband is a plumber and a framer and a carpenter and a painter and an all around pretty handy guy (when he isn't busy in the lab being a biochemist...serious! ), so we didn't have to pay for any labor. I also picked up vintage fixtures, which fit better and cost less than new ones. We were also able to work with the existing floors so avoided expensive tiles or new hardwoods. Yup, it cost us just under $3,000 to turn the Dexter House master into a suite. Of course, this doesn't include house-wide costs, like adding a new electrical panel or taking out permits, but you get the picture. All in all, pretty darn reasonable. I'm not a realtor by any stretch of the imagination, but I think one would agree that this was money well spent if we ever went to sell the Dexter House! Want to know more about this bathroom? Here are posts on demo, design/layout, the sink, floor paint, wall paint, progress and the reveal. p.s. 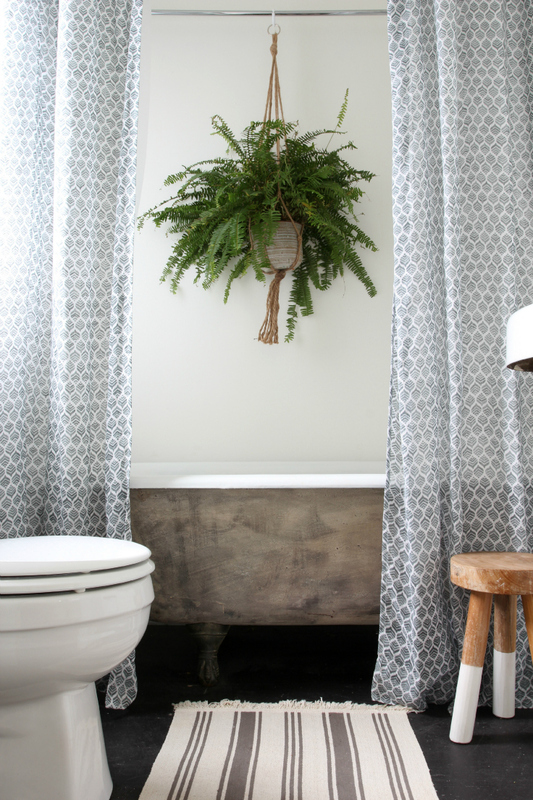 Check out this really lovely Christmas home tour on Lark and Linen! p.p.s. I love decorating for the holidays, but with a two-year-old and a toddler, this year is all about simple. As in we-bought-a-Christmas-tree-in-the-Fred-Meyer-parking-lot simple. So no DIY wreaths for me. But if I did happen to find myself with two free hands and a couple of hours, I would try to make something like this or this! p.p.p.s. Some of my favorite holiday decor.